Prepare to be pampered. Prepare to be pleased. Imagine… tasteful, tantalizing sensations served to your guests by an attentive staff. Relax, enjoy, and leave each and every detail to us. 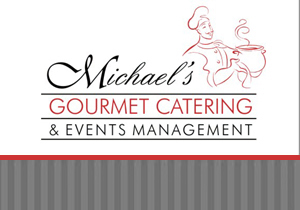 Michael’s Gourmet-to-Go Catering and Events Management makes every moment a memorable one – moments that build and foster relationships, moments that say, “You matter to me.” Whether it’s in the Board Room or the Back Yard, your guests will surely feel appreciated. Set yourself apart with Michael’s customized cuisine, where each menu is crafted with your specific tastes in mind. Take the stress out of planning your event and let Michael’s handle all of your arrangements. 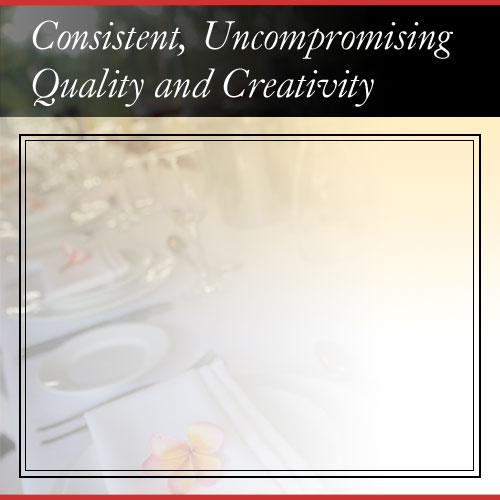 Whether it’s selecting a venue, creating an inviting atmosphere, or arranging for entertainment, Michael’s Gourmet-to-Go delivers consistent, uncompromising quality and creativity. Integrated Marketing Strategy and Web Site Optimization (SEO) by J.D. Hill, Inc.